Knowing which questions to ask – and getting answers you trust – will help homeowners make the best decision. What does “Licensed & Insured” mean? Can I paint my storm windows? The case for inexpensive paint. What’s involved in an “average” paint job? What color for the front door? Short answer – latex. Improvements in paint technology are all directed at latex as oil paint is gradually being phased out (it’s not environmentally friendly). Latex is more durable, flexible and won’t fade or chalk. While there will always be adherents to the Oil-Primer-Latex-Top-Coat school of thought, advances in latex primers have made that argument less convincing. We favor latex, but will use oil where conditions require it. “Licensed” means a business license issued by the city you are doing business in. “Insured” should mean the painter has general liability insurance to protect the business and the homeowner. The cheapest, bare minimum coverage is rarely a good move for either party. Some contractors believe that having car insurance entitles them to say they have “insurance”. Ask for (and get) a certificate of insurance issued for your specific address. 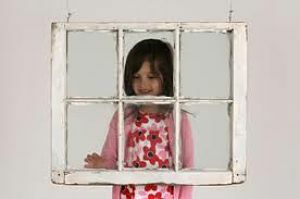 Painted storm windows “disappear”, enhancing the look of the window rather than covering it up. This is particularily striking when the storms and sashes are painted to complement the window trim. Sure – properly cleaned, aluminum storms will hold paint very well. Painted storm windows “disappear”, enhancing the look of the window rather than covering it up. This is particularily striking when the storms and sashes are painted to complement the window trim. Here’s the pecking order: glossy, semi-gloss, satin, eggshell, flat. Different manufacturers may use different terms or may offer a smaller selection of sheens. Higher gloss is easier to clean but shows off surface imperfections. Front doors are often painted with a glossy finish, trim often has some sheen to it and exterior walls are often flat, although some homes look quite attractive with some sheen to them. The EPA’s lead brochure is a good overview. For exterior painting, options run from ignoring the hazard up to workers in HazMat suits. As a practical matter,light scraping followed by the right primer is the route taken most often. Restoration (complete removal of all old paint) is costly and is usually only considered for small areas. EPA WARNING! Removing or disturbing old paint from interior or exterior surfaces by sanding, scraping, abrading, or other means may produce dust, debris, or fumes that contain lead. Exposure to lead dust, debris or fumes may cause brain damage or other adverse health effects, especially in children and pregnant women. Structures built before 1978 should be tested by a licensed inspector prior to removing or disturbing old paint. For more information, call the National Lead Information Center at 1-800-424-LEAD. There are painters that guarantee their paint jobs for 20 years – but few homeowners will pay for the prep work that requires. Paint over well-prepped new wood, high quality primer and the recommeded finish coat thickness should yield a life of 15 to 20 years. Paint over poor prep (no power washing or scraping), cheap primer (if any) and a thin finish coat may fail in less than one year. That’s quite a range. Painting older houses is a series of trade-offs. Cost is weighed against desired appearance, proper prep, hassle, lead paint concerns, materials used and durability. Generally speaking, paint on a well-prepped house should last 7 to 10 years. Longer if the underlying paint is in good shape, shorter if you’ve got problems like excessive interior moisture, leaky gutters or mildew. The use of color should be driven by the style of the home. Victorian, brick colonial and Arts & Crafts styles will each use color differently to show the home to its best advantage. Whether your home is brick, wood siding or shingles, stone or stucco, the natural colors and textures can be enhanced by the use of color. Often similar colors with slight shading differences are used to subtly “suggest” details and features rather than “advertise” them. Think of a blue house with bright red trim and a yellow door – fine for a quirky beach cottage but not suited for most Kansas City neighborhoods. See the Color Ideas page for some ideas on how to make it happen. There is none. As with almost any product, you usually get what you pay for. Purchasing paint strictly on the basis of price will end up costing you more in the long run. Here’s why. As long as you’re comparing two similar types of paint (i.e. interior wall paint, exterior trim paint), price differences usually reflect a difference in the quality and/or the amount of the key ingredients. Since it’s the ingredients that affect such important qualities as durability, flow, hide and leveling, the better the quality of the paint the easier it will be to apply and the longer it will normally last. In fact, a top-quality paint (or primer, or caulk) can last up to twice as long as a low-end paint, lowering the cost per year of service. Materials are a relatively small part of the overall cost of a paint job. Saving a few hundred on materials simply doesn’t pay. What is involved with the “average” paint job? First, an assessment is made of anything on the property that might need special protection (plants, play sets, etc.). After protection is in place, we’ll power wash to remove loose paint, spider webs and other goodies. Then we’ll hand scrape with carbide scrapers (they stay sharper longer and remove more paint), replace loose or missing window glazing, do agreed-upon repair work and carefully caulk as needed. Finally, we apply primer as needed and paint. All work will be specified in our agreement so everybody knows what to expect and there are no surprises. Every home is different so each step in the process is adjusted to meet the particular needs of your home. Here’s an oldie-but-goodie. Photograph the front of your house filling as much of the frame as you can. Cut out the front door with an exacto knife and hold the picture against enough color chips until you find the perfect color. Easy trial and error and no brush cleaning! Brushing is slow but precise, spraying is fast but not so precise and rolling falls right in the middle. Trim is either brushed or sprayed and larger areas are usually sprayed and then back-rolled (rolling over the still-wet sprayed paint). Spray for speed and back-roll to work the paint into all the nooks and crannies. In general, spraying followed by back-rolling will deliver a more even film of paint across a larger area than spraying or rolling alone. Your local professional painter or paint retailer is the best place to start. A great online resource is the Painter Forum – a professional problem-solving exchange. First, scrub a small area with a solution of household detergent and warm water. Rinse well and towel dry. Then soak a cotton ball, Q-tip or soft rag in alcohol and rub it back and forth over the cleaned area. If paint comes off, it’s latex. If not, it’s oil-based. In either case, proper prep is key.